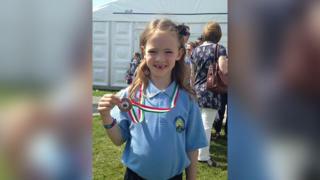 When Fflur said her knees hurt so much she could not walk down the stairs, her parents thought she was being silly.However, it emerged the five-year-old was actually suffering the first signs of juvenile idiopathic arthritis.The debilitating condition affects one in every 1,000 children in the UK, but Wales does not have any full-time paediatric arthritis specialists.Welsh Government funding has now been agreed for a new service in Cardiff.Wales' shortage of paediatric rheumatologists means Fflur has to travel to Alder Hey Hospital in Liverpool for treatment. Fflur, now 10, often had to be carried downstairs by her parents who, at first, grew frustrated.They thought she was joking when she said she could not turn her head and it was only when she was unable to perform a certain move during a ballet lesson that her disease came to light. "My knees and neck hurt and I couldn't speak properly but I don't let my arthritis stop me doing any of the things I love doing," she said.Fflur, who lives in Llanfairpwll on Anglesey, can continue her passion for dance, acting and music with daily tablets and injections every fortnight. "People are really surprised that Fflur has arthritis because they don't expect someone so young or energetic to have the condition," said her mother Anwen Edwards. "She still leads an active life but the problem is that expertise for treatment isn't available locally." Wales is the only country in the UK without a full-time paediatric rheumatology service.The National Rheumatoid Arthritis Society said getting a diagnosis could be difficult because symptoms were sometimes put down to growing pains and arthritis was "often the last thing" parents would consider.It was the last thing Lowri Wynn Morgan thought could explain the pains and stiffness in her hands while in her mid 20s.But her arthritis and medication almost proved to be fatal. 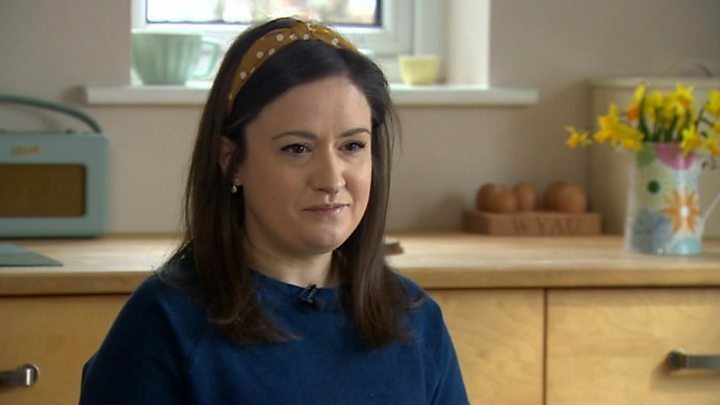 The barrister, from Grosmont, near Abergavenny, was eventually diagnosed aged 27.Now 32, she admits it was a "shock" for family and friends given less than 0.5% of people aged between 15 and 34, are affected by rheumatoid arthritis. "At first the doctor wasn't overly concerned and just put it down to aches and pains," she said. "More awareness is needed that arthritis affects younger people. The stock response is, 'you're not old enough to have arthritis.' But I am. "It would be of real benefit to young sufferers to know they are not unusual or strange. "The medication Ms Wynn Morgan was taking for the constant pain in her feet, back and shoulders affected her speech and caused some of her hair to fall out.It also made her susceptible to infection and in 2017, a serious kidney infection developed into sepsis. "I wasn't fully aware of the risks and according to the doctors in A&E, I was three hours away from dying from the sepsis," she said. "That has been a huge shock. I now realise I need to take a lot better care of myself. But I know the general prognosis is that it's likely to get worse as I get older." Mary Cowern, Wales director at Versus Arthritis, said many people with arthritis, particularly younger people, "hide the true impact" the disease has on their lives.An estimated 800,000 people in Wales have arthritis and related conditions and there are seven unfilled rheumatology consultancy posts in Wales. Dr Ceril Rhys-Dillon, a rheumatology consultant at Royal Glamorgan Hospital, said health boards were "underperforming" as a result. "They cannot perform and deliver the services they need to because they are so stretched," she added. "It's an enormous problem for patients in Wales to access the right help when they staff is not in place. "The Welsh Government said it "fully aware" of the impact of arthritis. A spokeswoman added: "That is why funding has been agreed for a new paediatric rheumatology service which will be provided by Cardiff and Vale University Health Board. "We are also actively working with health boards to recruit additional rheumatology consultants through our Train Work Live campaign."